Nunner Logistics - Nobody Goes Further! Members in the Netherlands, Nunner Logistics have recently launched their new website as well as changed their company slogan to fit more in line with their fast growth and customer expectations. CEO, Erwin Cootjans explains below. 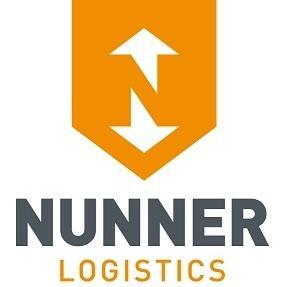 "Although Nunner Logistics already had a great website as far as content and design was concerned, there was room for improvement. It was necessary to make the website more interactive, calling for action and more inviting to return for a next visit. Therefore, we have made a completely new structure and I am happy to say that the result is great. Although the content is partly the same, it is now grouped completely different. It will give us the opportunity to measure and to get more information about our visitors and their behaviour etc. Since our launch, the feedback has been very positive. We also have a new company slogan! Where our previous slogan, 'Our name is a promise' was perfect for the first years after the return of the Nunner brand to the market, it is now time for something new. This can be used in a lot of contexts and it will be visible on all our communication. It means that nobody goes further in optimising IT solutions."